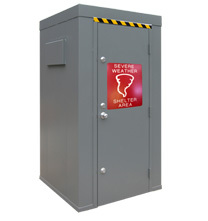 Securall Storm Safe Rooms are available in 4 convenient sizes; 4’x4’, 4’x6’, 4’x8’, and 4’x10’. These units are designed to comfortably fit in your garage while allowing for plenty of space to store your vehicles and other items. 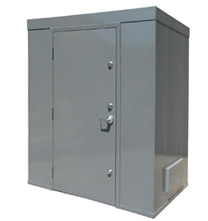 At a mere 4 feet deep, these units can be easily placed out of the way in your garage or basement. The heavy duty roof allows for storage on top of the shelter which helps to maintain the maximum storage potential for your space. 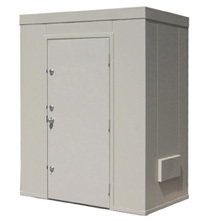 Securall Storm Safe Rooms are built for mobility. 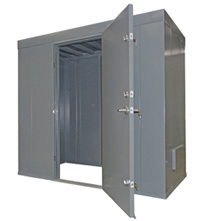 Should you decide to change residences in the future you can simply unbolt the shelter and take it with you. Or, leave it and use it as a unique selling feature adding value to the property. ©2017 A&A Sheet Metal Products, Inc., All rights reserved.